Smell PGH. Photo by Amanda Waltz. Smell PGH—a mobile app built by Carnegie Mellon University’s CREATE Lab—has provided residents with a tool to sniff out the sources behind noxious, and possibly dangerous odors in their neighborhoods. And in Pittsburgh, a city with notoriously poor air quality, it comes in especially handy. CREATE Lab claims that since they launched the app 10 months ago, it’s been downloaded more than 1,300 times and has been used to report foul odors more than 4,300 times. 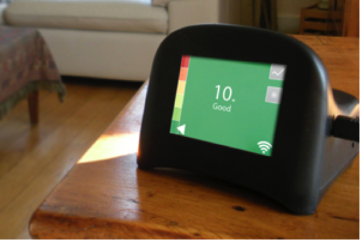 Now CREATE Lab has released an improved version of the app to further empower average citizens impacted by the stink of pollution. 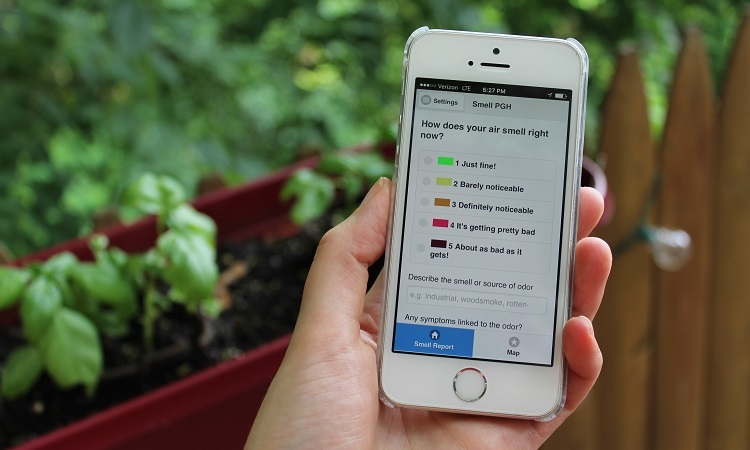 Researchers at CREATE Lab rolled out a new set of features for Smell PGH, which works by allowing users to track and report instances of bad smells in and around their homes, work, schools and other places they frequent. The app now includes helpful time-lapse animations on its map, which shift and change based on smell reports submitted throughout the day. 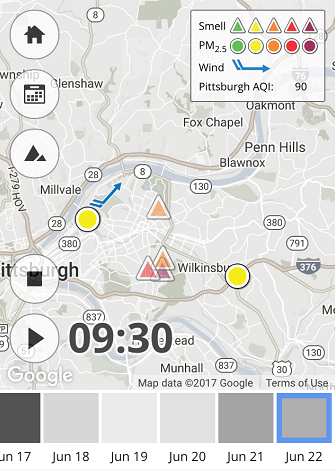 Screenshot of Smell PGH app with the new time-lapse feature. “These features enable residents to better understand how changes in wind speed and direction, coupled with Pittsburgh’s air quality and topography, contribute to the pollution odors they experience,” says CREATE Lab project director Beatrice Dias. 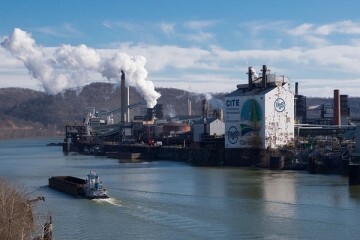 Smell PGH was inspired by CREATE Lab’s experience with the Neville Island citizen action group Allegheny County Clean Air Now and their battle with Shenango Coke Works, a smoke-spewing plant they deemed responsible for making their community practically unlivable. CREATE Lab then developed the app with support from The Heinz Endowments and with help from several local environmental groups, including Allegheny County Clean Air Now, PennEnvironment and the Group Against Smog and Pollution. CREATE Lab also works with the Allegheny County Health Department to ensure that all foul air complaints are forwarded for investigation. As part of that process, Smell PGH users are able to note the nature and intensity of smells, as well as any symptoms they might be experiencing, such as headaches or nausea. Smell PGH is available to download in the iTunes and Google Play stores.